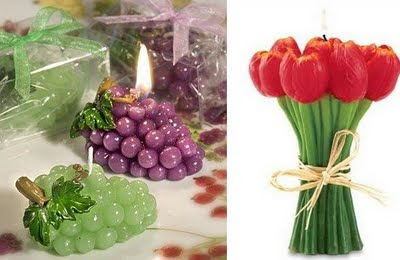 Somethin Odd: 30 Unusual and Creative Candle Designs. Before the advent of electricity, candles were used for illumination and it date backs around the first century in Rome where candles were made and used. Though in present times it lost most of the importance attached to it; but there are few occasions and events that aren't complete without candles. Whether its birthday parties, candle light dinners or for creating a cool ambiance or its use in aromatherapy, we still need them. 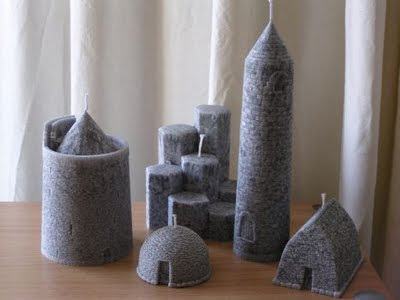 Here are some cool candle designs for you to choose from. 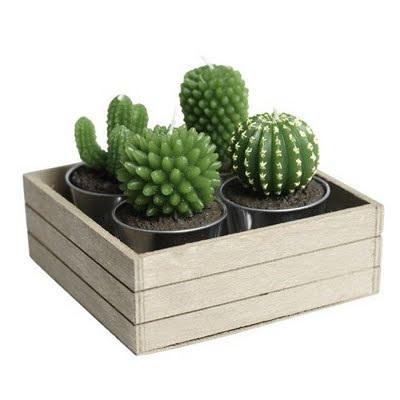 Cactus Candles: These look incredibly lifelike and comes in boxes of 4 Cacti. 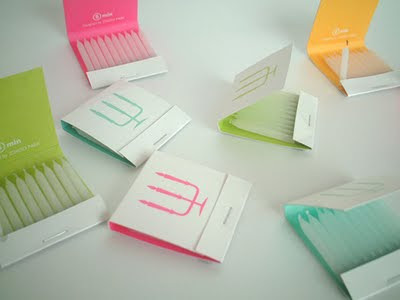 DoubleWick Candles: These elegant candles contain two wicks and feature a range of beautifully colored embedded wax decoration. It measures 30cm high, 7cm wide and is only 1cm thick. 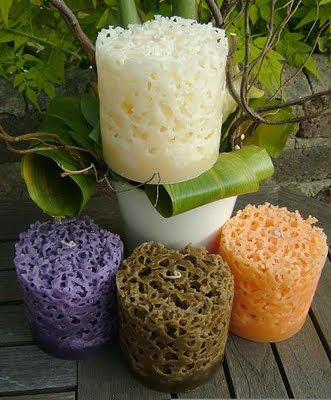 Coral Candle: This Coral Candle range comes in Jasmine, Lavender and Lemongrass. 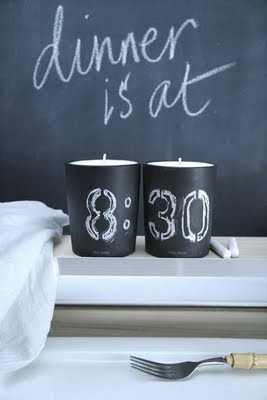 5 Minute Candles: Apt for spontaneous celebrations. 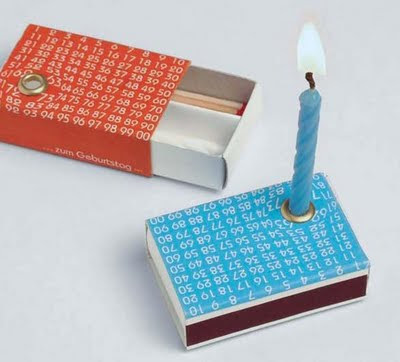 "Designed to look like an ordinary book of matches but inside are 10 small candles." 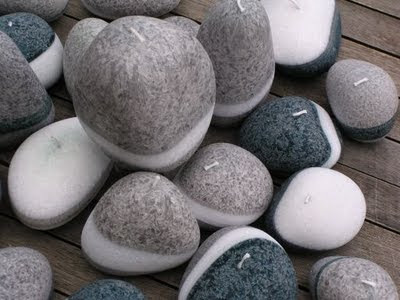 Lonny-Design's Candle: If you are among those who are ready for anything then this is something which is sure to impress you! 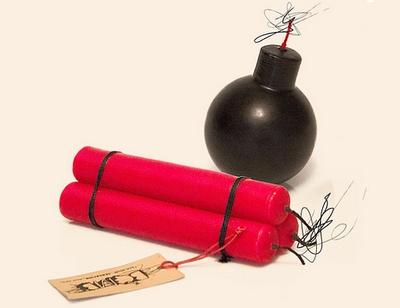 Notmy Candles: Interesting shaped candles comes from Russia. 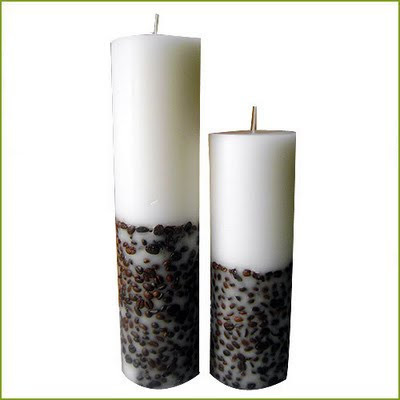 Coffee Beans Candles: These candles come in different colors, patterns, and sizes. 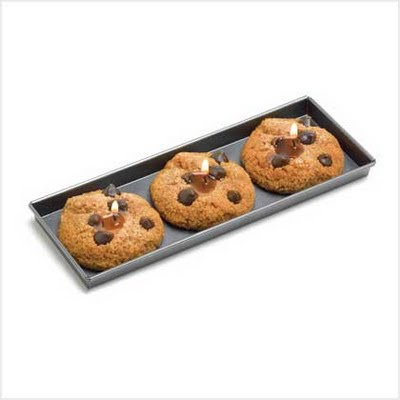 Chalkboard Candle: These cute Chalkboard Candles come gift boxed with a chalk pack. 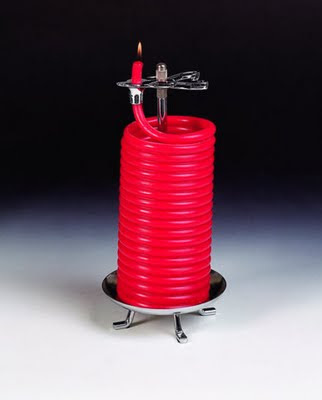 80 Hour Beeswax Coil Candle: It allows you to set the amount of time before it automatically extinguishes itself. 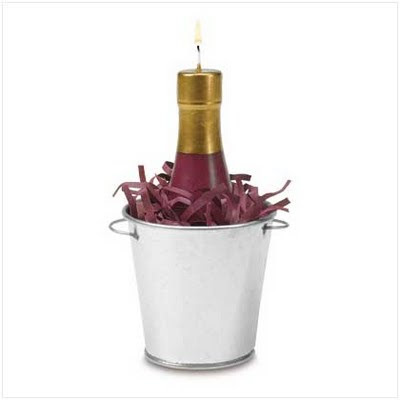 Bottle Candle: Best suited for parties and celebrations. 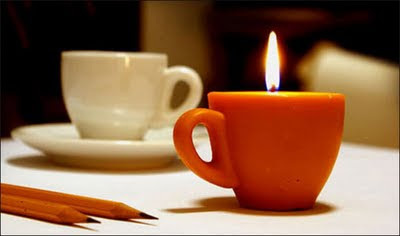 Coffee Cup Candle: Designed by Denis Belenko, it looks like a cup of coffee. 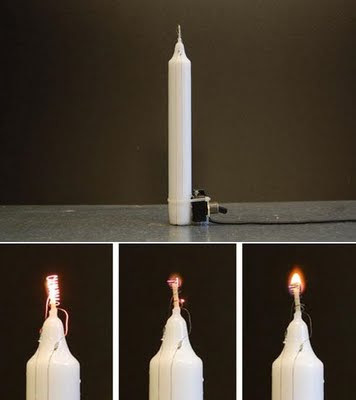 Electronic Candle: Aram Bartholl's candle uses a combination of resistance wire, copper wire, switch, and 12V power transformer to light a candle. 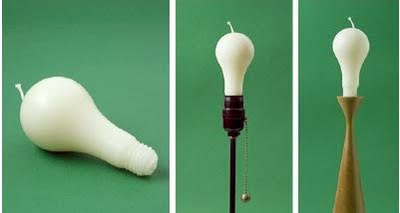 Light Bulb Candle: A candle design that looks like the light bulb, made from Bee's Wax. 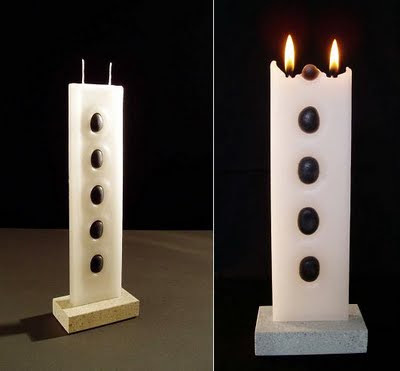 Multiple Candles: Design inspired from modular structures, gives you a choice to choose how many candles you need to light and its unlike the conventional ones. 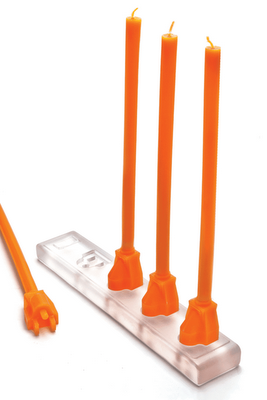 Candlestrip: These candles appear to get the energy from the base that they plug into. 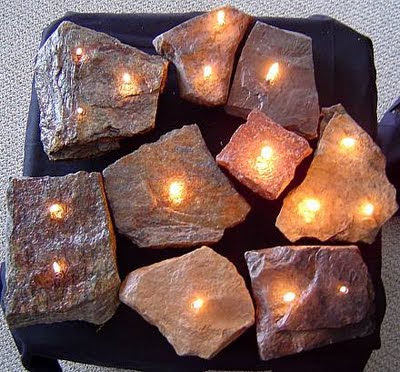 Rocklite Candle: This unique one-of-a-kind hand crafted out of select rock and stone, can be used indoors or even outdoors using Citronella Oil. 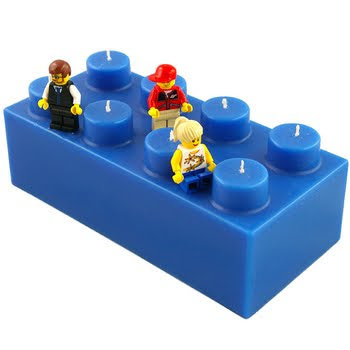 Building Brick Candles: These eight-wick soy-blend, non-scented candles are sure to bring back the memories of childhood. 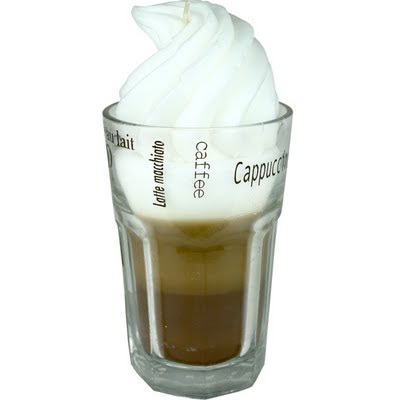 Cappuccino Coffee Candle: This scented candle fills your room with the delightful fragrance of cappuccino. 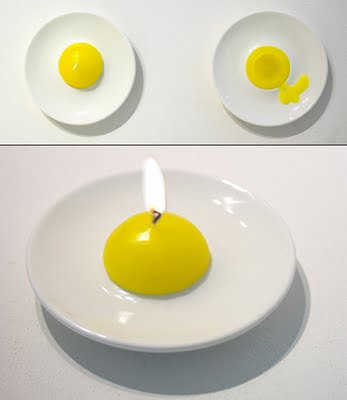 Friedegg Candle: An interesting design by Jaehyung Hong. 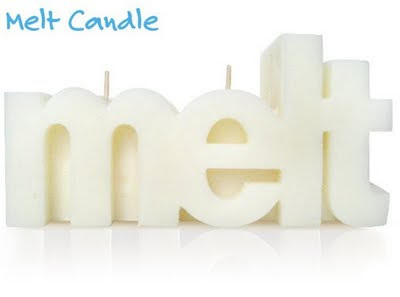 Spye Design studio's Candle: This cool candle is 32 ounces Brazilian white beeswax with 3 cotton wicks, measures 7 inches width and 3.5 inches height and 3 inches in dimension. 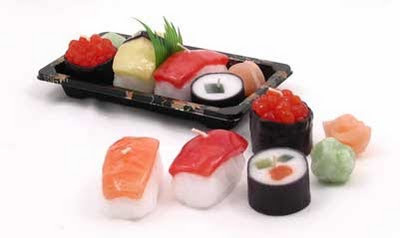 Sushi Candle Set: Each of this Sushi candle comes per-arranged in its own Japanese "take out" box. 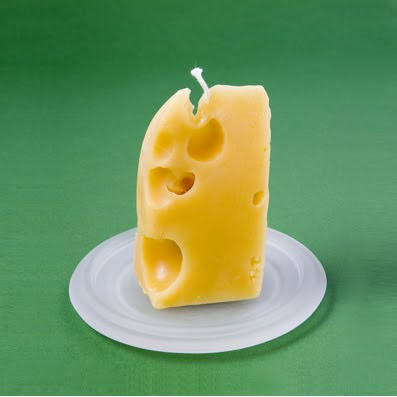 Swiss Cheese Candle: Looks delicious in shape of the cheese. 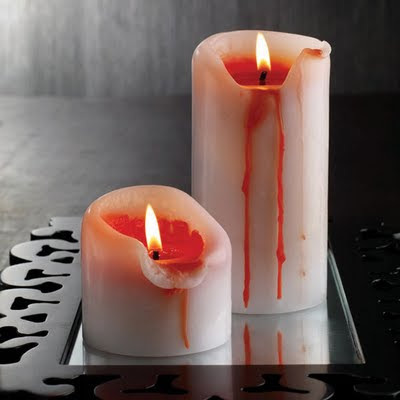 Pillar Candles: These look like ordinary white candles, once you light it red wax flows out. 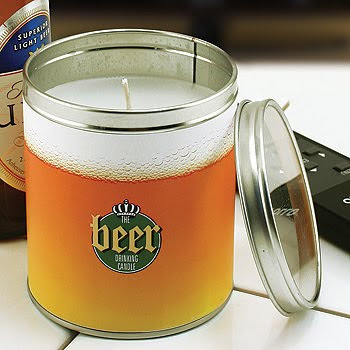 Scented Candle: Who wouldn't want this one! These candles are a lot of fun. 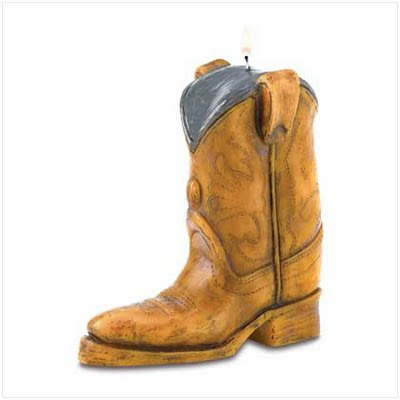 I really like the cactus candles and the automatically extinguishing beeswax candle is great! I love the shape of the wax coils.